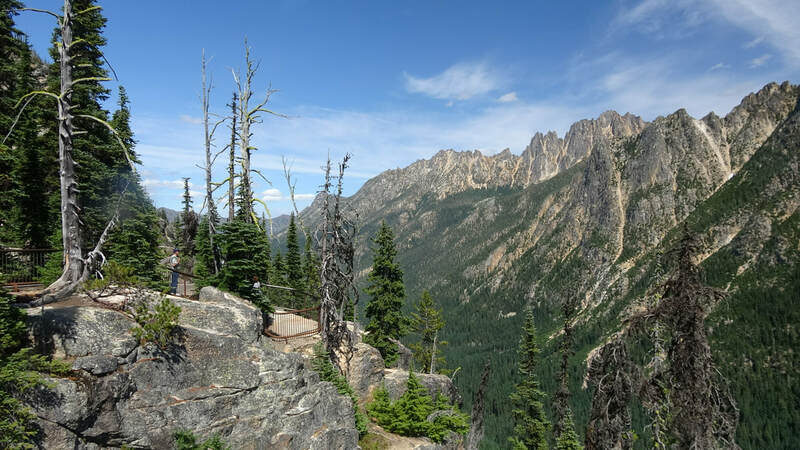 North Cascades is one of our least known and least visited national parks. It is located in north central Washington state – not in any inaccessible location. Florida’s Dry Tortugas National Park gets almost twice as many visitors a year, and you can’t get there except by airplane, or a long, long boat ride. 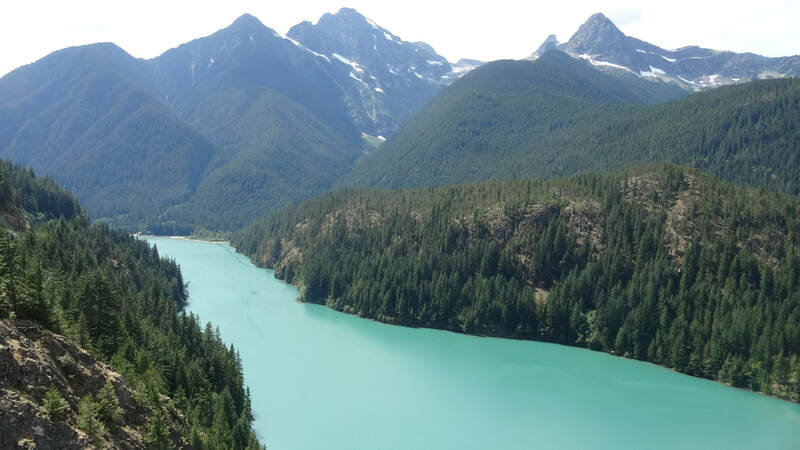 A two hour drive from Seattle puts you deep into North Cascades. When North Cascades National Park was first created in 1968, it was already an odd mix of development, exploitation, and untouched wilderness. Prospectors had already mined ores in the region, but the hostile geography and bitter, long winters eventually drove the miners elsewhere. The area is filled with narrow, deep gorges that seem to invite building dams for hydroelectric power. During the 1920’s several dams were built in the area to bring electric power to the surrounding communities and cities. These dams and the history around them has also become a tourism point. The Park is divided into a northern section and a southern section by the Skagit River. Washington State Highway 20 mostly follows the river and goes from the east side of the park to the west side. Both sections are largely without roads or tourist facilities. Other than some dams and supporting development, the northern section has very little development; Ross Lake Resort is on Ross Lake, which was formed by damming the Skagit River. This small resort’s setting reflects the isolation of the area: No public roads lead in to the resort; visitors have to either hike in or use a ferry to get there. The village of Newhalem is on Highway 20, about midway across the Park. Newhalem houses the employees who work at the dams and power plants in the Park. Portions of Highway 20 are closed for many months of the year due to heavy snows. The southern section is also largely without roads or development – mostly. 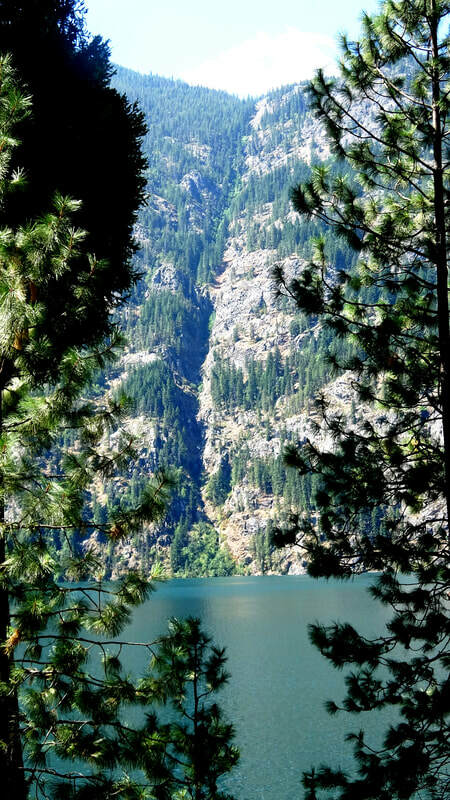 Lake Chelan (usually pronounced “sh’lahn” around that area) is a long, narrow lake that extends from the town of Chelan at the south end to the small village of Stehekin at the north end of the lake about 50 miles away. Before the park or the recreation area were established, people were farming in the area, despite the lack of connecting roads. Lake Chelan has always been used as the connecting road to ferry in people, vehicles and supplies to the northern areas of the lake. The residents of the Stehekin area must have motor vehicles brought in by ferry, and there is only one fuel pump in the area. The price per gallon on the pump reflects the difficulty of getting gasoline to the area. As you might expect, the few vehicles we saw in Stehekin were mostly economical to operate. A small network of roads fan out from Stehekin to serve the farms in the area. North Cascades has two National Recreation Areas within its boundaries. The northern section has Ross Lake National Recreation Area and the southern section has Lake Chelan National Recreation Area. The remaining park areas outside the recreation areas are largely untouched wilderness and must be accessed on foot. Both recreation areas offer motor boat access to roadless wilderness areas. Our two days in North Cascades were split between two activities: Sightseeing across the park on Highway 20 on the first day, and taking the boat from Chelan to Shehekin on the second day. We left our campground near Anacortes and headed east on Highway 20. The RV park we were bound for was only 137 miles away, but those miles were over a mountainous road with switchbacks and many sightseeing stops. Most of that mileage is without gas stations, or most other services. Newhalem does have a store which serves the residents of that company town. Three lakes are scattered along Highway 20: Gorge Lake, Diablo Lake and the huge Ross Lake, which runs north into Canada. There are numerous displays at parking areas and overlooks that educate the traveler about the power projects throughout the area. The extremely rugged scenery gives many beautiful overlooks all along Highway 20. After an overnight stay in Winthrop, Washington, we got up very early and drove 60 miles to Chelan. Chelan is at the south end of Lake Chelan and is surrounded first by lakefront homes, then by orchards and fields. 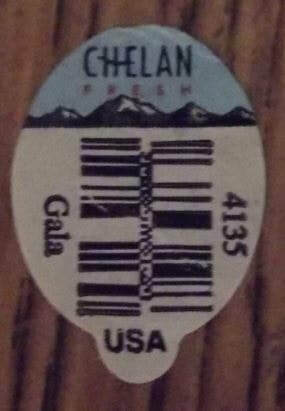 Much of the Washington state apple crop comes from this area; the Chelan area is also known for cherry orchards as well. 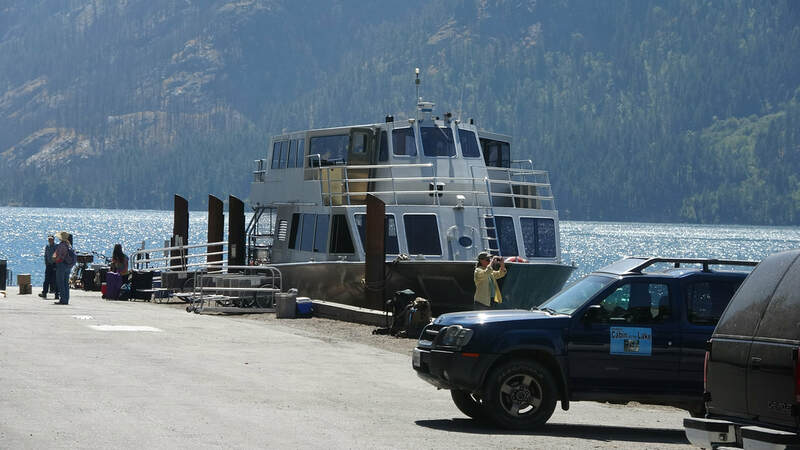 One primary ferry boat service connects Chelan with the town of Stehekin, about 50 miles north on Lake Chelan. The boat service operates two ferries on the lake: The Lady of the Lake makes a leisurely four-hour trip up the lake, making two intermediate stops along the way. 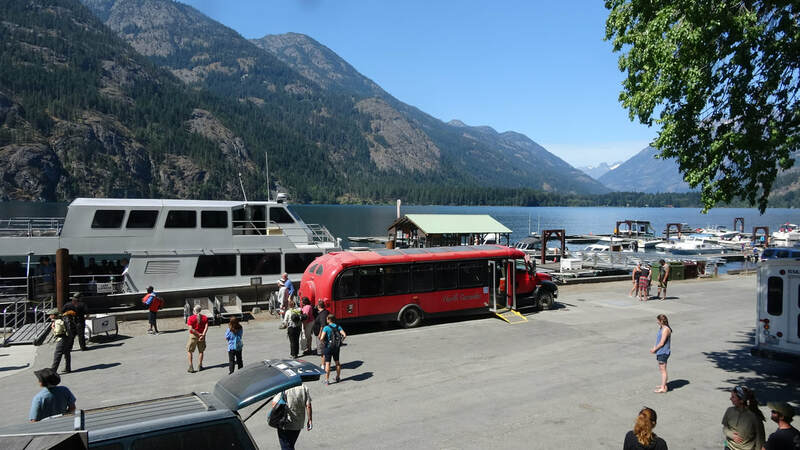 The Lady Express, living up to its name, makes a high speed trip to Stehekin in 2 ½ hours, including one stop. We chose to take the Lady Express up to Stehekin, stay about three hours, and catch the Lady of the Lake for the return trip. I have a private love for “end-of-the-road” communities; a “we-don’t-have-a-road-to-get-here” place is absolutely irresistible. Fortunately, Carol has a tolerance for my idiosyncrasies such as this. Limited tolerance, but tolerance nonetheless. When you take the Lady Express, there is little or no room for wandering the deck and enjoying the scenery. About 40 passengers sit in rows in a large cabin amid the roar of twin engines. As the craft flies up Lake Chelan, two giant rooster tails of water shoot from the stern. Disembarking at Stehekin, we started to explore the town. After a visit to Golden West Visitor Center for detailed area information, we caught a private bus to the Stehekin Pastry Company, a lively bakery just out of town. There we ate delicious sandwiches made with fresh baked bread. Some of our fellow diners in the bakery’s dining room were backpackers, fresh off trails in the North Cascades wilderness areas. By experience I know that after days of eating freeze-dried food and trail mix, a basic sandwich made with fresh ingredients will seem like a slice of heaven. After lunch, the Bakery Bus dropped us back into town to explore the two blocks of downtown Stehekin. The view of the mountains from the Stehekin docks, across Lake Chelan, was gorgeous. We reminded ourselves that for some people, this was their front yard all year long. From Stehekin, a network of small unpaved roads leads out to farms and getaway cabins all around the area. Many of the cabins along the shore of Lake Chelan were accessible only by boat. After about three hours exploring the Stehekin area, we boarded The Lady of the Lake for the slow trip back to Chelan. Unlike the Express, The Lady makes two stops on the route back to Chelan. At one stop we picked up passengers who had been staying at Holden Village, a year-round Lutheran Church retreat and conference center. Holden Village is built on the site of the headquarters for a huge copper mine that operated from 1896 to 1957, despite its isolated location. After racing up the lake in the Express, The Lady seemed to progress back down the lake at a stately, dignified rate. It was easy to think of The Lady of the Lake as a calm, soothing, dignified woman, and the Lady Express is her hyperactive little sister. 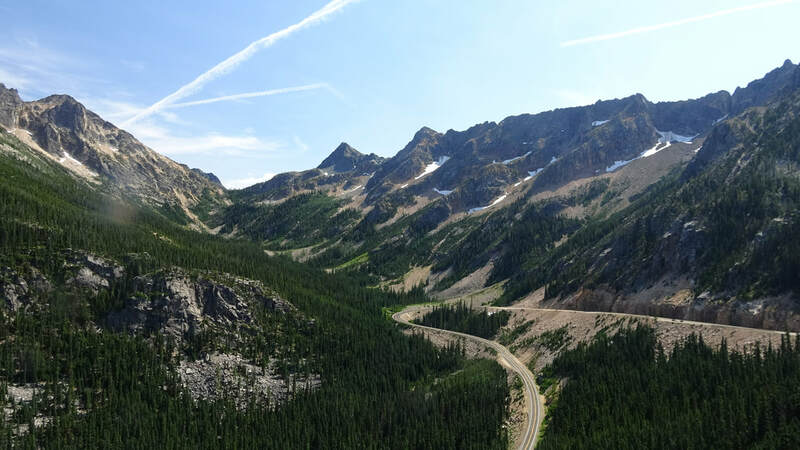 Since the majority of North Cascades National Park is roadless wilderness, a two-day, drive-through tour leaves most of the park unseen, even from a distance. Our two-day schedule allowed us to see as much of the park as possible, but we weren’t able to do our usual hiking trails like we are used to. Well, we have to save something for our next visit.